Blend, in blender cilantro with spinach and water to make homogeneous paste. Set aside. Dry chicken with paper towel and season with salt and pepper. 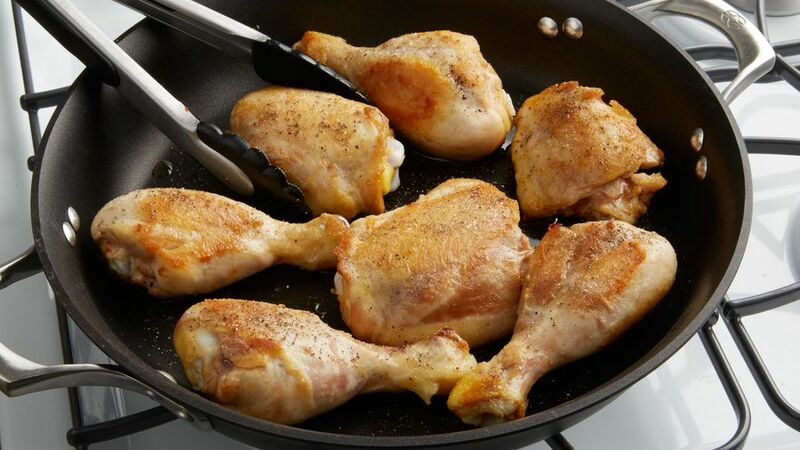 Place oil in a pot over medium heat and fry the chicken until chicken is golden brown on both sides, about 7 minutes. Remove from pot and place in plate. In same pot, fry onion, garlic and yellow pepper paste, and stir for 5 minutes. Put in the blended cilantro and spinach, and fry for 3 minutes. Add beer, chicken broth and chicken to pot. Bring to a boil, cover and lower the heat. Cook for 20 minutes. If necessary, season with more salt and pepper. In another pot, heat 1 tablespoon of oil. Add rice and stir well. 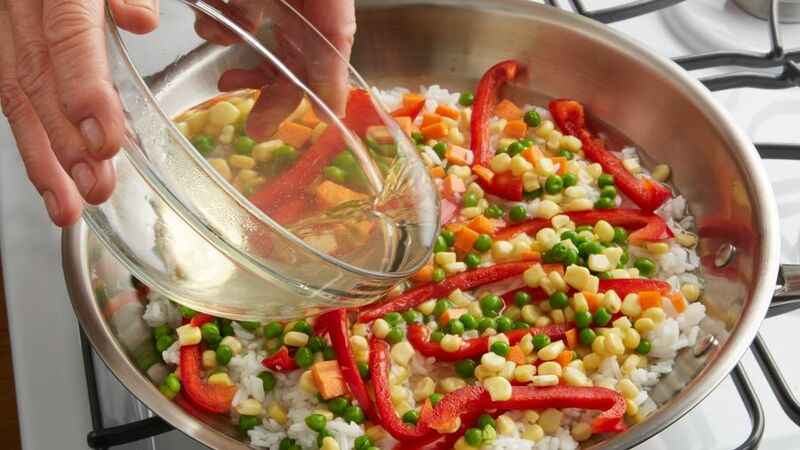 Add petit pois (sweet peas), carrots, pepper, corn and 3 1/2 cups of the broth you used to cook the chicken. Bring to a boil, cover, lower the heat to the lowest possible setting and cook for 20 to 25 minutes. Stir with a fork and cover again. When rice is ready, serve in four plates; place a chicken drumstick over it and salsa criolla on the side. 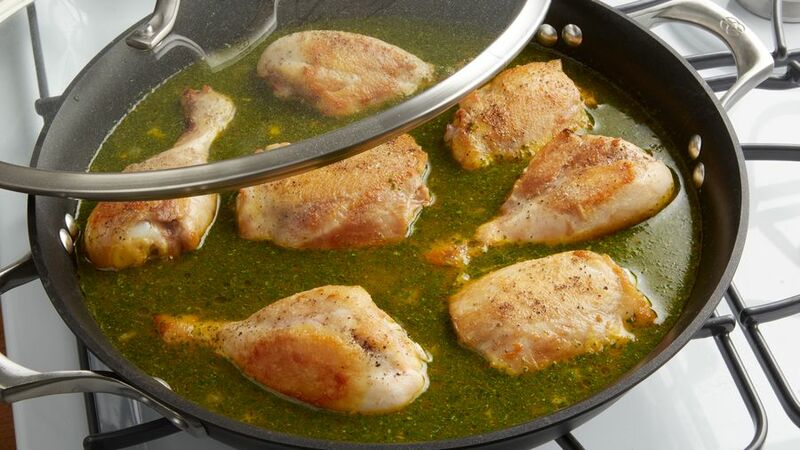 If desired, you may also add some of the juice in which the chicken was cooked. To make the salsa criolla: Cut 1/2 red onion lengthwise into very thin slices, wash thoroughly and drain. Blend with 1/2 tomato (cut into very thin strips), cilantro leaves, salt, pepper, lemon juice from one lemon and one tablespoon of olive oil. If you wish, you may add pepper strips. Many Peruvians serve this rice with salsa huancaína (spicy cheese sauce), in addition to the traditional salsa criolla. Instead of chicken, you can use duck, rabbit, mussels, scallops or soy meat if you want to make it completely vegetarian. This dish is one of the favorite staples of Peruvian cuisine, whether it’s prepared with duck - which is traditional in northern Peru – or with chicken. It’s delicious and has many variations. 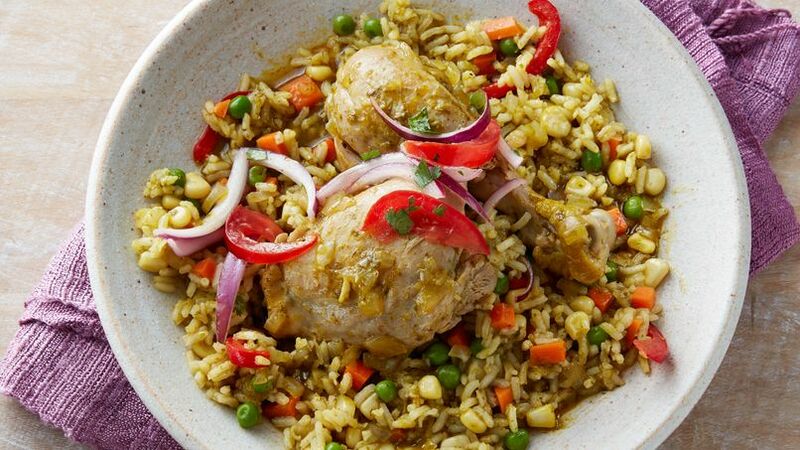 It can be made with grainy rice or similar to a risotto and, even though it’s green and has a lot of cilantro, it has a subtle taste. If you wish, you may add other vegetables.